Show off a piece of your New England Patriots pride with this New England Patriots Super Bowl LIII Champions Celebration Standard Framed Posters. 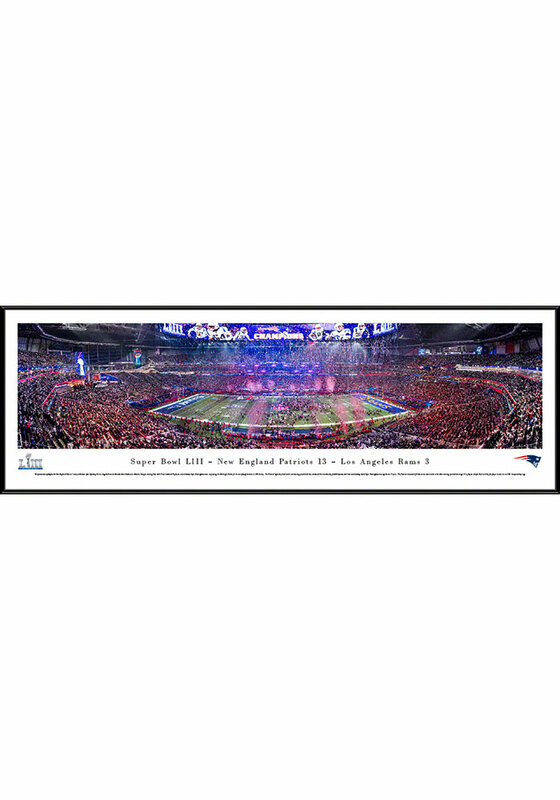 This Framed Posters features a panoramic image of Mercedes-Benz Stadium during Super Bowl LIII. This iconic shot was taken after the 2019 Super Bowl where the New England Patriots defeated the Los Angeles Rams 13-3. Go Patriots!